Looking for UI kits for creating mobile apps & websites that include components, text styles and more ? 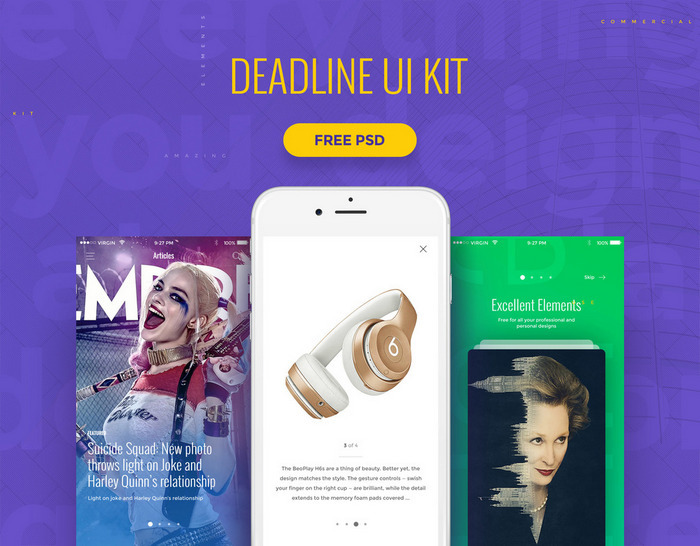 We put up an amazing list of over a 100 free flat psd UI kits which let you redesign, convert to HTML and mobile apps. Speed up your work and avoid the need to reinvent something over and over again. The free templates here let you craft prototypes and a functional website or app design. Converting to bootstrap is advanced but we put together a collection of free css3 ui kits which can serve your purposes. If you are serious about learning front end development then I suggest Teamtreehouse, you will love it. 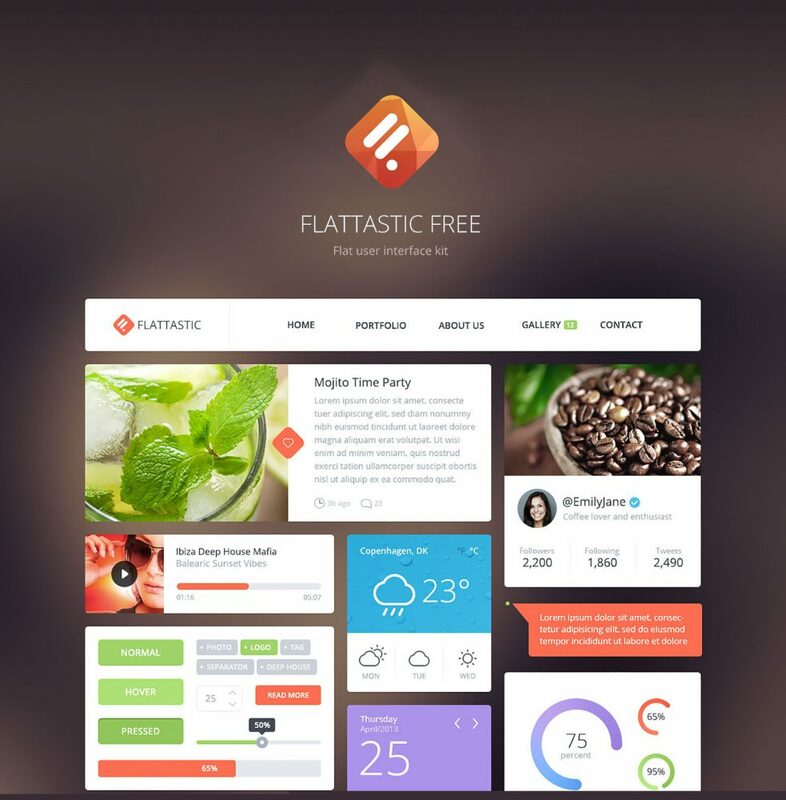 We found templates that use flat design standards rather than 3d style. Templates which let you redesign specific mobile ui and web components like login pages, buttons, social media icons as you need. 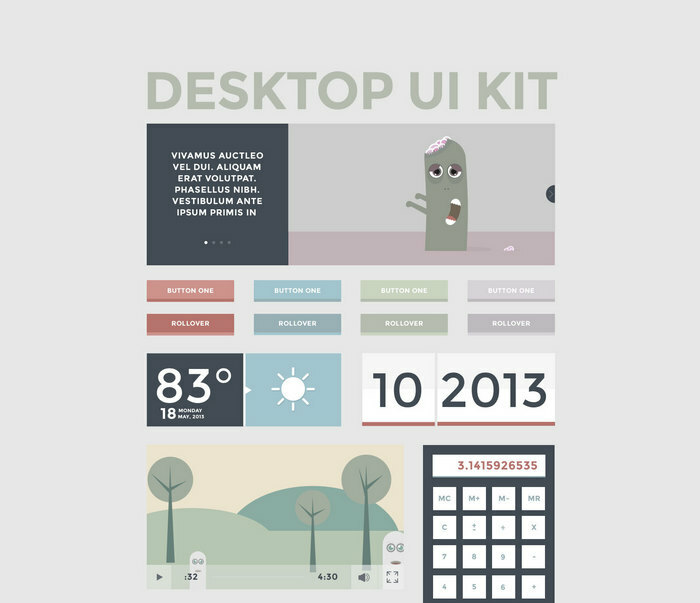 A UI kit should have a complete pack of elements you need for daily use. Yes, you will find it here. Combine web UI kits we have in our collection to psd website templates which we handpicked. Boom ! Now you get more components to work with. Go ahead pick one from these sections and see how they work. This is one of the best ui kit suited for all those looking to utilize a fully functional design in their personal or commercial projects. 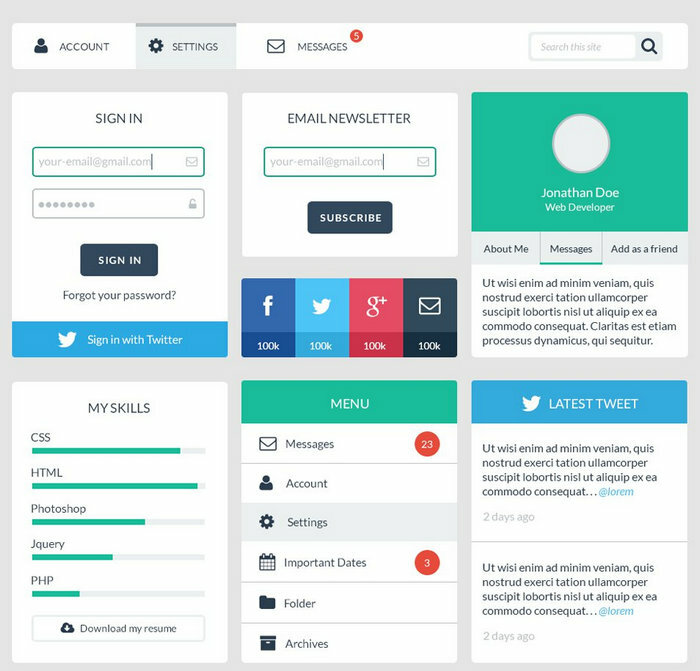 Targeted at all the business online as this kit is comprised of around 21 UI blocks and over 100 ui elements. 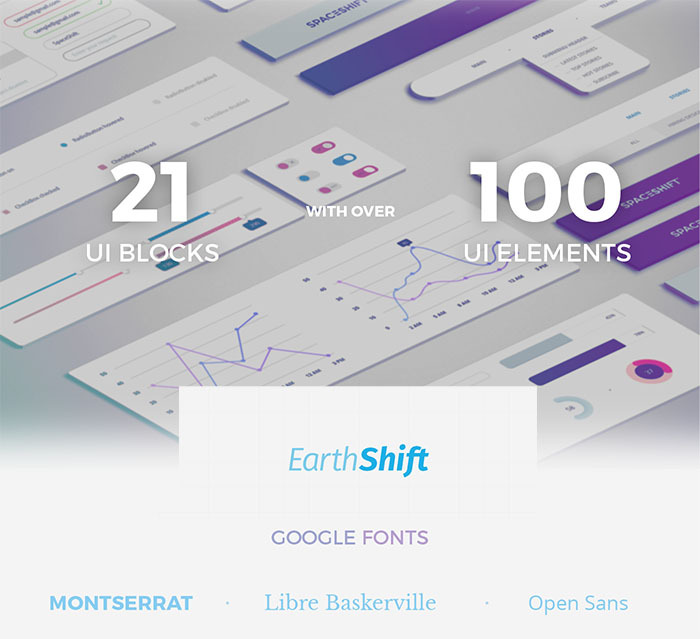 This Futuristic EarthShift kit can be used to make your project look excellent with numerous color schemes, Google Fonts, typography, buttons, radio buttons, checkboxes, sliders and more. You can easily build a website that looks unique while it does not require you to spend any extra time for your design. 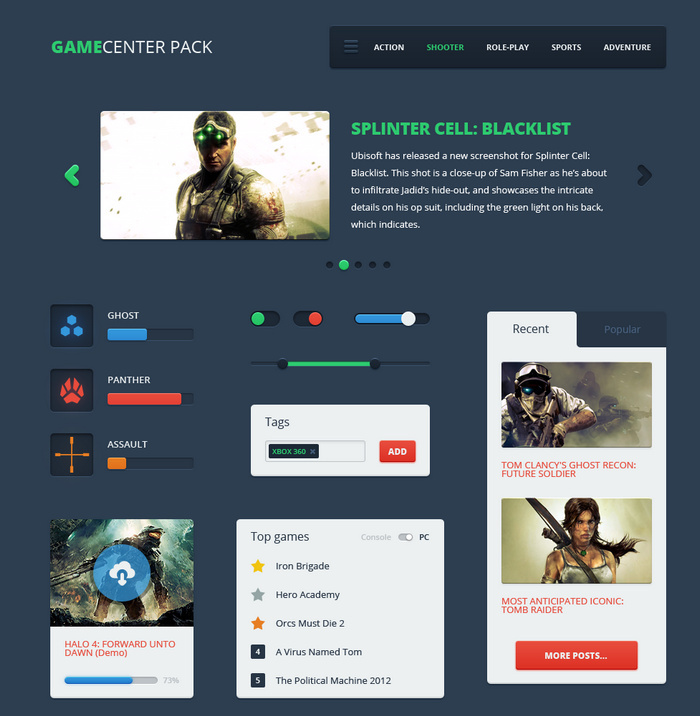 So just download this amazing ui PSD and make your project more appealing. 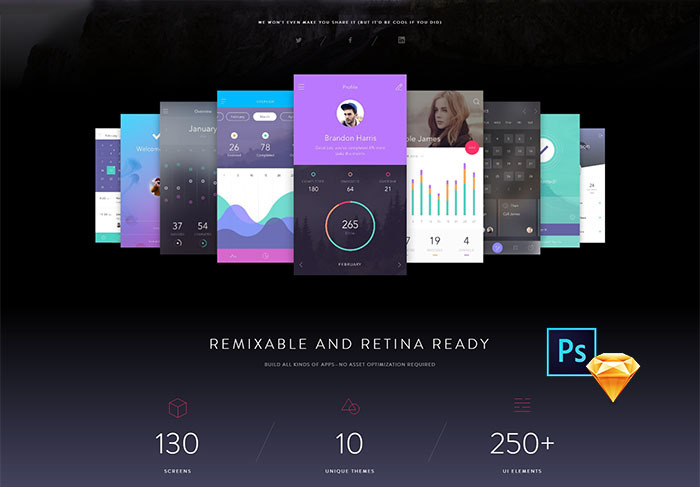 Another best photoshop and sketch ui kit which can be used for all website purposes. 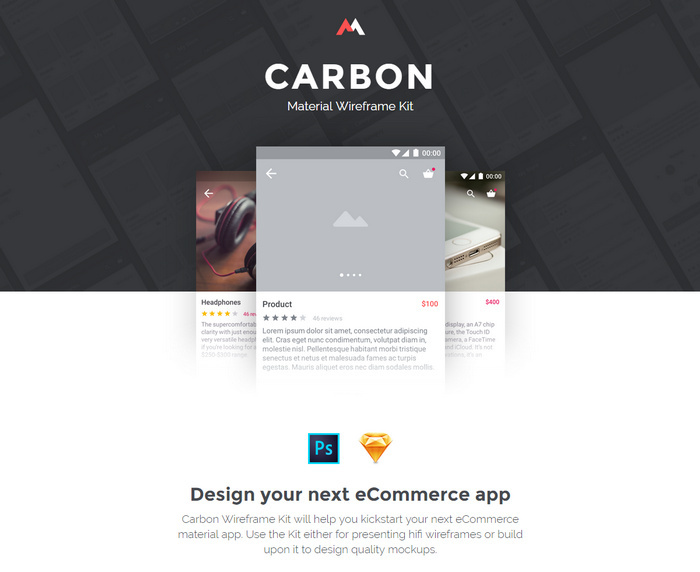 This App, web design kit has picked up pace recently in downloads. Developers have little time to make designs by themselves. This is one of the purposes of this template to give developers an easy way to design. 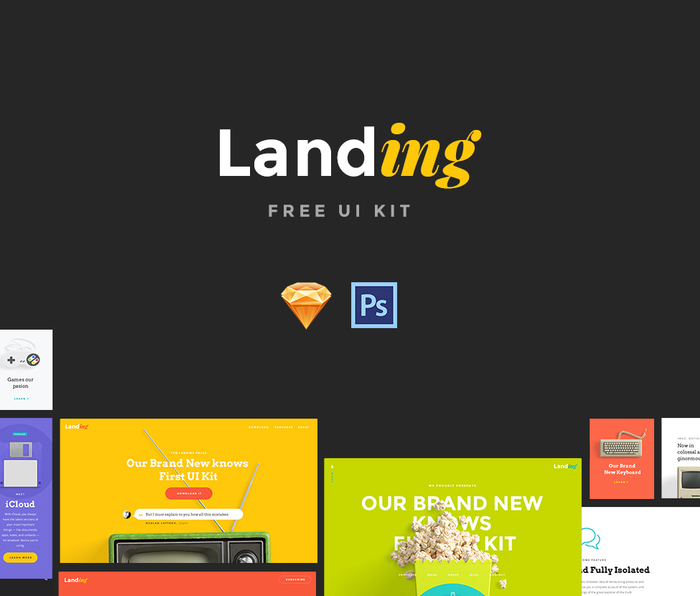 The components and layouts in landing pack are jaw dropping awesome and is composed of tons of handcrafted elements which can altogether enhance the speed of your web creating. The color palette is very bright, focused on user experience that creates positive attitude and emotion in all minds. There are more than 20 psds for various sections of the page(header, navigation, features, footer etc) and those can be customized easily to bring the final look you desire. Overall this one is amazing and can give your project a great turn in no time. Just click on the download button and you will be good to go. Stark lets you do many things, for example, whether your project is related to blogs, eCommerce, advertising, corporate or agency websites, you can use it for all purposes. This free ui kit consists more than 200 components, 125 free icons, 10 categories, 90 elements, numerous color palettes for a vivid ui look, numerous flat icons, free custom icons, Google fonts so that users can easily build the design as per their needs. It requires some small know how in Photoshop and you can win the hearts of many with an amazing design job using this psd template. The pack comes with two variants – light and dark. So, don’t delay? 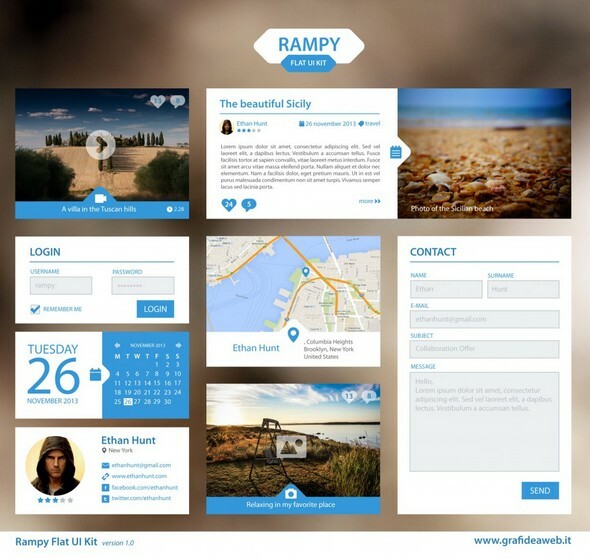 Download and provide your project with a new and attractive look. 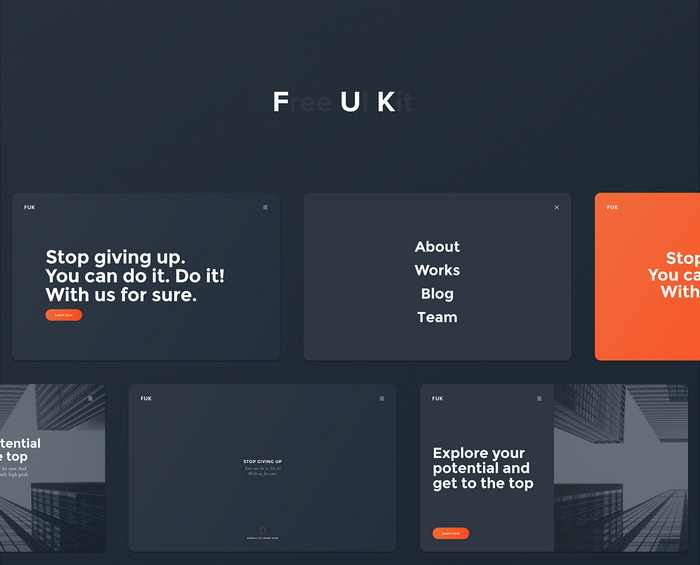 FUK is an interesting ui kit for sketch to be used in all your web projects. This kit can be used by all senior and novice designers. You will get 46 sections, 11 categories, 1 sketch file inside it using which the project can be built easily. Also, other features to be mentioned are pixel perfect design, free Google fonts, layers hierarchy, prototypes etc. which all together help you to build the design you are looking for your project. This is completely free, so in order get this you are not required to spend a single money from their pocket. 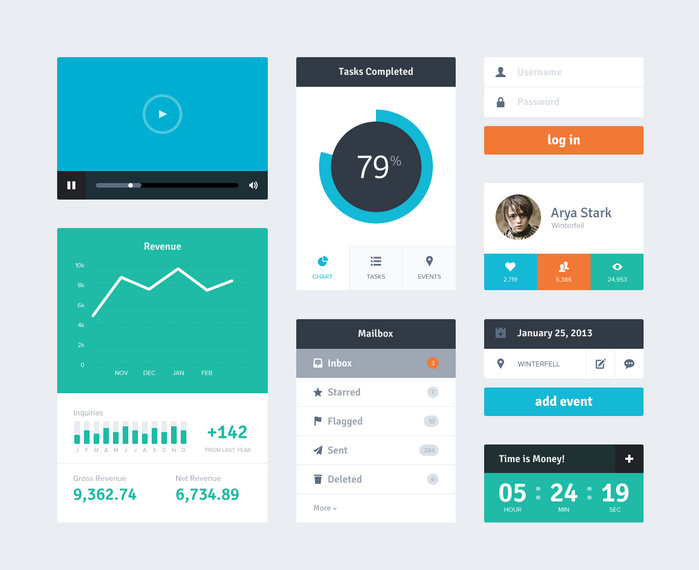 This ui kit is designed to accomplish your design job perfectly without any hassle. It contains numerous elements using which achieving the perfect and required prototype can be done with ease. This kit is really modern to be used in all kind of projects whether personal or professional. Comes in PSD and mac sketch versions. 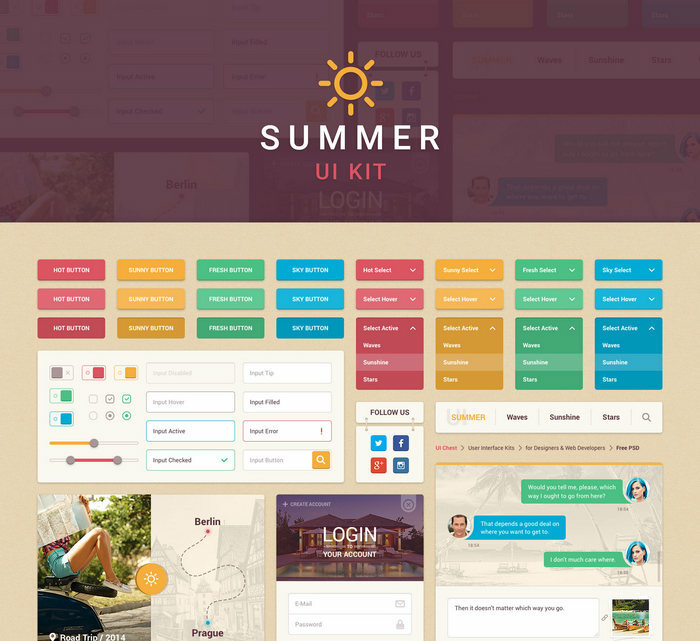 Summer kit has many elements, components and made for sketch and Photoshop, all available in this one set. Using this and give your project an eye-catching design and a new twist. 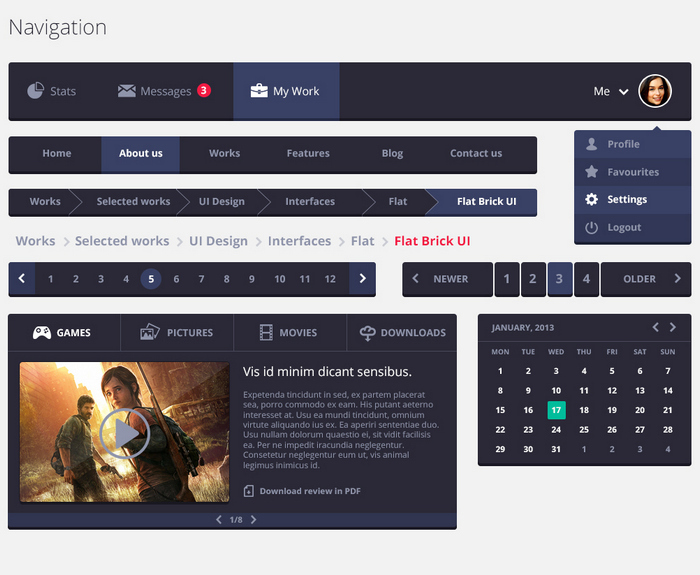 Elements such as buttons, user login, calendar etc are present in the ui kit. The interface is bright and colourful to make your project look clean. 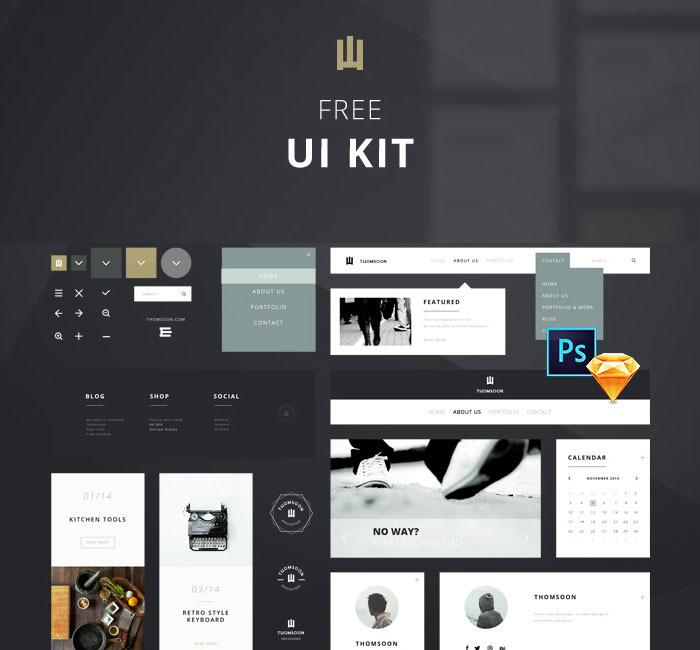 This is a desktop ui kit which provides a complete package for designing desktop apps. A flat style and ready-made elements such as buttons, calculator, weather etc is helpful. The best thing is, this psd is completely free that let you use it in all kind of personal and commercial projects. The interface is clean and has a modern typography. One more useful kit which let you choose from various color composition to create the required design in your project. Using the kit is much easier which does not require you to be an expert in designing. So, get this template for Photoshop and try using it in your project to get the desired design. Want to provide your design the look of the 1950’s? Then this kit might be the best choice for you which captures the ancient history and cultures of Americans in everything from types, palettes, elements and categories. All the needed elements are present in this kit using which you can get the exact look you are looking. This ui kit for Photoshop is completely free, so get it in your project and build the design with ease. You can use it for all kind of projects whether it is personal or professional. Different categories, elements such as buttons, user login, register all are present in the kit to make your project just perfect. 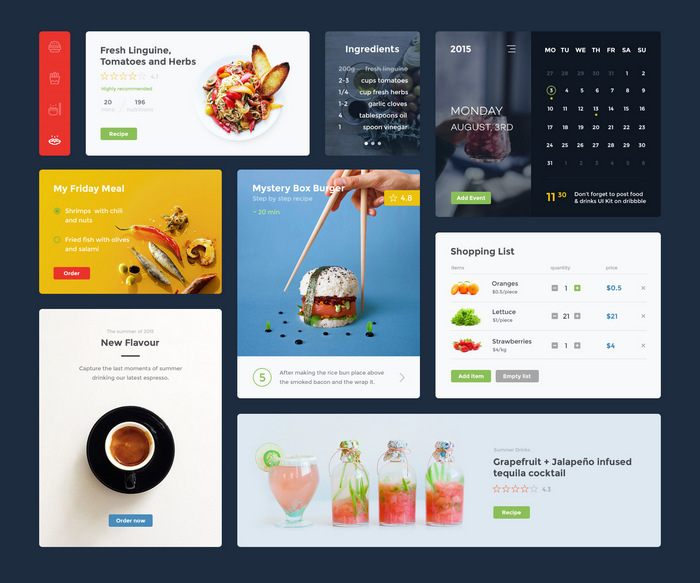 A pack with all the useful elements such as buttons, radio buttons, check boxes, search fields, calendar, menus, page navigation, video player and more using which you can build an amazing interface in your design that will be pleased to the eyes of all. 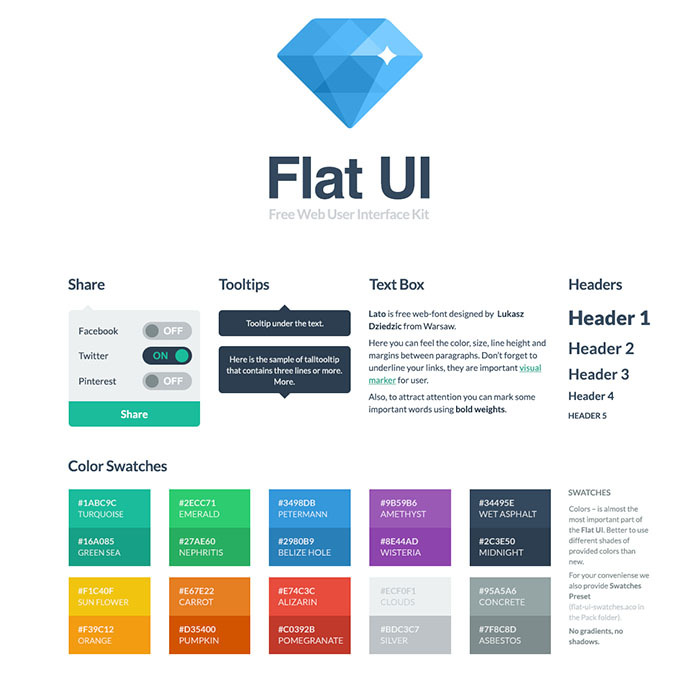 Tap on the link and get this flat user interface kit and make use on any project. The name itself defines the kit, it is really awesome blog kit that the designers can use effortlessly to make their blog design job hassle free. No compliance involved in the user interface, just tap on the download link and employ it in your project perfectly. One of the popular and yet free for personal and commercial projects. It packs all kind of ui elements including basic widgets, mail etc to craft that perfect flat admin dashboard. So download the kit and start using in your project. This is perfect for those who are into food blogs and looking for something unique to attract a huge customer base. Elements like shopping and eCommerce are included in the kit that makes it easy for users to order something. It is completely free to be used in your project and available in PSD & sketch formats. This minimal template is another useful PSD kit which is designed to serve the needs of personal and commercial projects. Powered with sign-in box, several widgets, navigation menus and other required templates this is ready to simplify your web design. This template feature horizontal charts, drop down navigation, switch toggles for a clean and modern look. 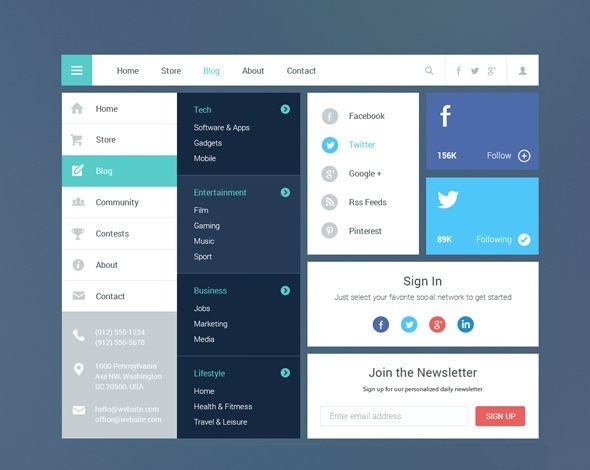 The PSD template lets you build an account dashboard for your website users or admin page. It also includes useful daily ui elements like pricing box, weather widget, forms, graph, calendar etc. Click on the download link and you will get to know all about this Photoshop ui kit. 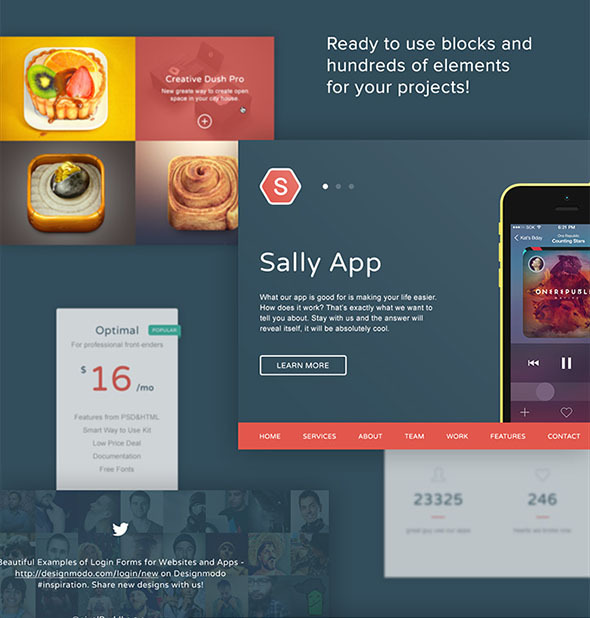 Powered with great composition and excellent color combination this Sally Blocks is an outstanding set of website elements which can accelerate your landing page design. It also comes packed with 4 different resolutions so you can use the one in your project that will be best suitable for you. 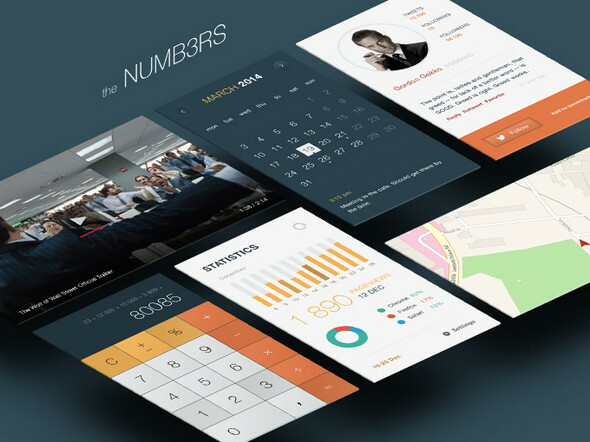 If there is a need to design the tablet or modern web app design, Numbers UI kit can help you a lot in this case. Using this layered PSD file which has graphs, numbers, charts and more you can create an eye-catching app design to attract more and more customers. Available in two color formats – blue and orange, Rampy pleases your eyes along with well-structured layouts. 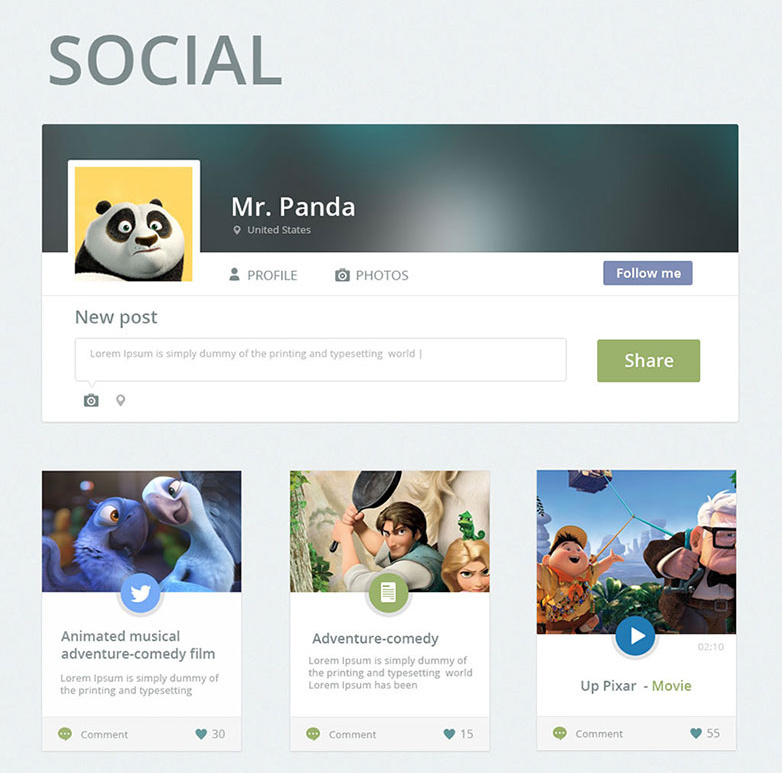 It includes important widgets like gallery, video, article, contact, profile login and more. On top of it, you will get this at completely free, rejoice. A simple psd kit for blogging and magazine website with a flat design style. The interface is modern which includes several elements and widgets for that perfect website. The layers use vector shapes thus giving high-quality output for the design. 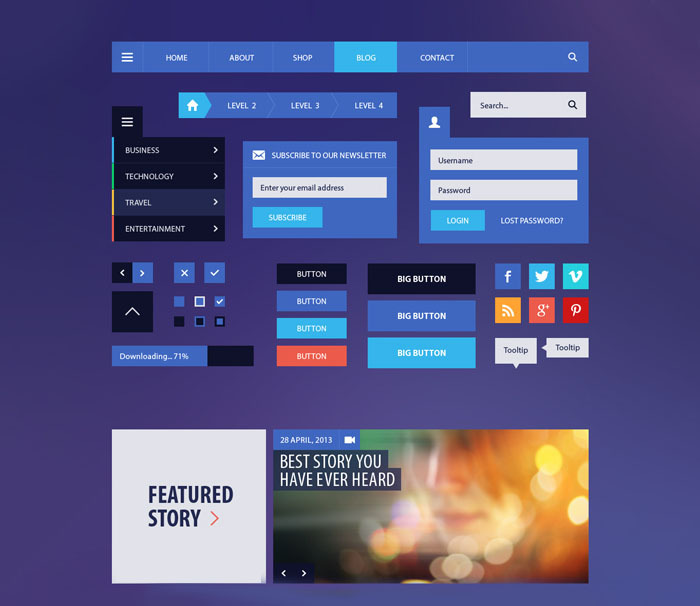 So, get this ui kit and start designing your own blog right now. Customizing is too simple and you can do it with ease. This purple color psd template is geared for all who want to create their own design in just minutes with the help of a useful ui kit. The all purple color looks amazing and it is the one to make the whole thing even more eye-catching. The design is really flat and simple, so get this psd kit and make your designing job more interesting. A free download of Behance rebound is made in PSD to give you something to play around. The design is very modern and sleek to impress all your visitors easily. Social media icons, job search menu, profile widget, search widget, radio icons, page numbers are included in the kit to help you create the design you are wondering. Metro tiles are here to speed up the job of enthusiast designers with its set of features and elements. 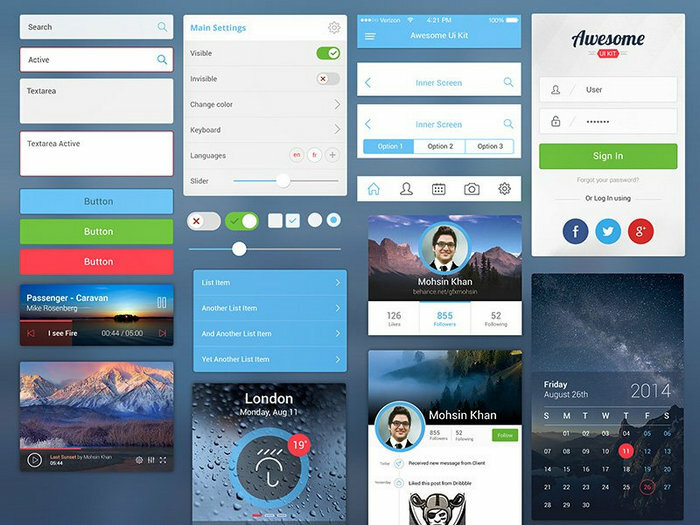 This photoshop ui kit is mainly used for mobile and web applications. So, if your job requires you to do something similar, get this free pack by clicking on the link and enjoy. Making a user interface design to meet clients need requires a lot of time while it also has a steep learning curve. But this kit is a big time saver that make your designing job effective in no time. 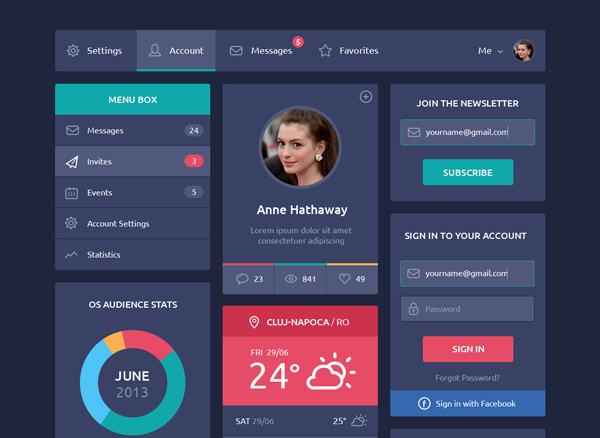 Moreover, it is completely free with many ui components for graphic design. Pricing tables, sign in box, profile widgets, social buttons etc are in this free ui kit. 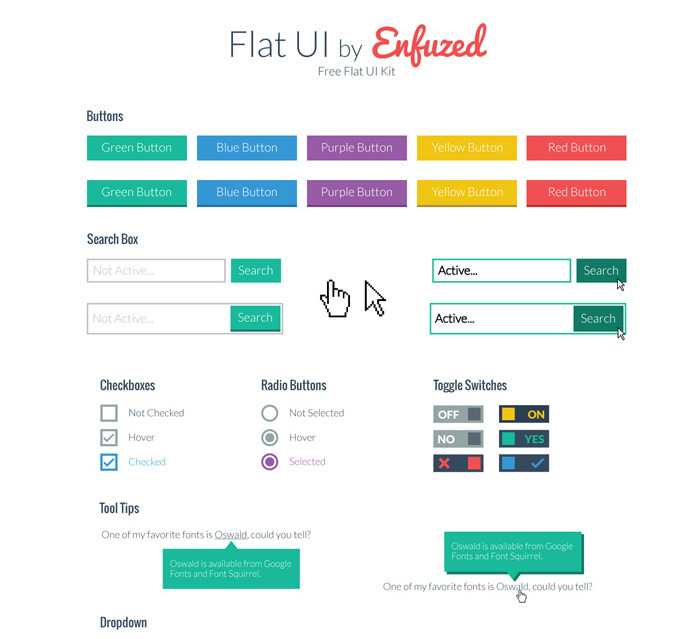 A Flat design UI that contains numerous elements and all the elements are editable. These are available in vector shapes. Layered & well-structured PSD files help you in perfectly designing any website or application anything. This is one of such kit for you. This free ui kit is for blog and magazine websites with lots of useful components using which you can offer a very bright and clean look to your website. So, do not delay and get it soon to start designing your project without any hassle. It will no doubt attract more customers in the best possible ways. 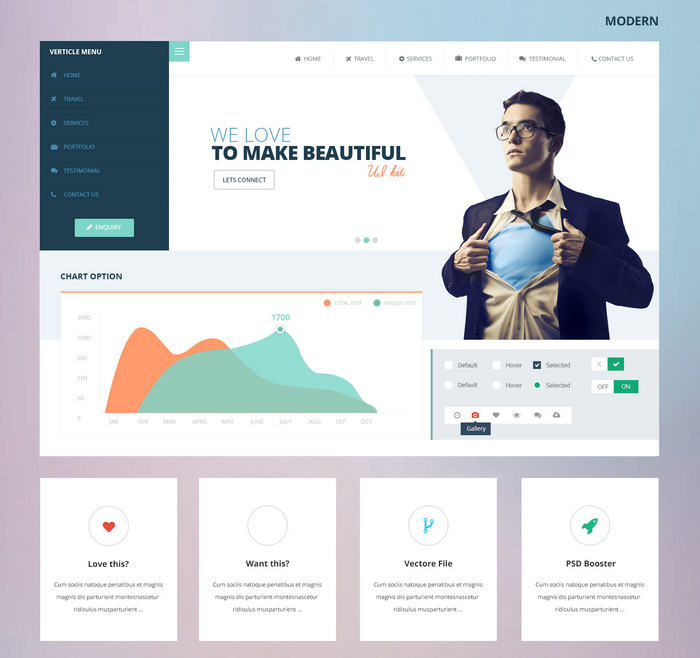 Crafted in both psd and html this flat ui psd has a very stunning look and you can use to create business websites. It includes all the basic and needed compounds such as buttons, checkboxes, radio buttons, menu, tag, sliders, navigation elements etc and all of them are easily customizable to provide the needed look. You can easily build an eye-catching and fully functional website using it in just a moment. The components are resizable and look very clean to serve your needs perfectly. Are you searching an ui kit for a mobile app that can help you redesign some of the interfaces you have in mind? Then this one is a must to have and suit your prototyping projects. Deadline is an amazing kit comprised of an excellent interface, more than 1000 elements, 82 screens, 6 layouts and more. Every font used in the design is free to use and you can use them for personal or commercial purposes. Now rush ahead download and be the owner of best quality design that will not cause you any money. Rejoice now, this one is just perfect to create eCommerce apps and related with material design as the base. Create a hi-fi wireframe or you can build up quality mockups using it. It comes with 15 eCommerce screens optimized for making prototype artboards . Also breakdown the elements to create your own screen mockups. Apart from these it uses vector shapes for photoshop and sketch applications. Free google fonts, named and well-structured layouts are there to take your eCommerce material app to the next level. So, get this psd soon and provide your business with a new turn. 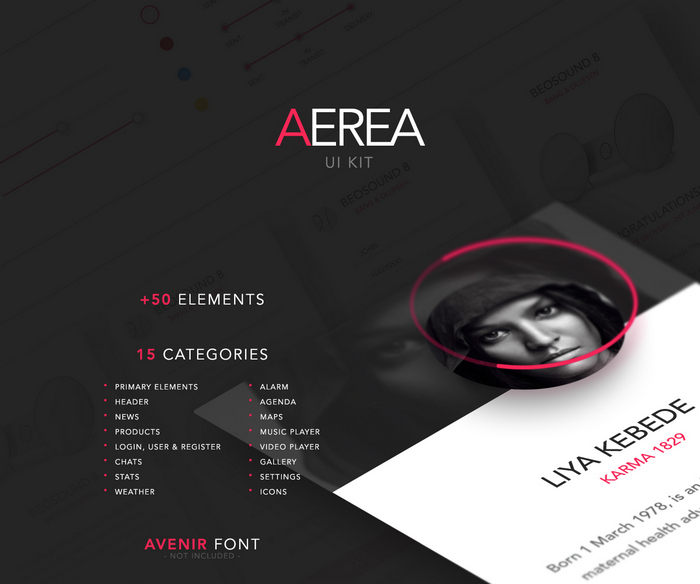 Powered with more than 50 free elements and 15 plus categories, Aerea is perfect for all kind of personal and professional project. This is a free ui kit for creating mobile apps, giving you enough estate to build that clean ui. Primary elements such as buttons, radio buttons, bars etc are in this pack. Each element is vector based and fully layered. Other elements are user profile, login & register, settings icon, music & video player, gallery, weather etc. That is this kit comes packed with components required to create an attractive design. As the name goes, Event Pro tends to the needs of event-based mobile apps and has an appealing look. 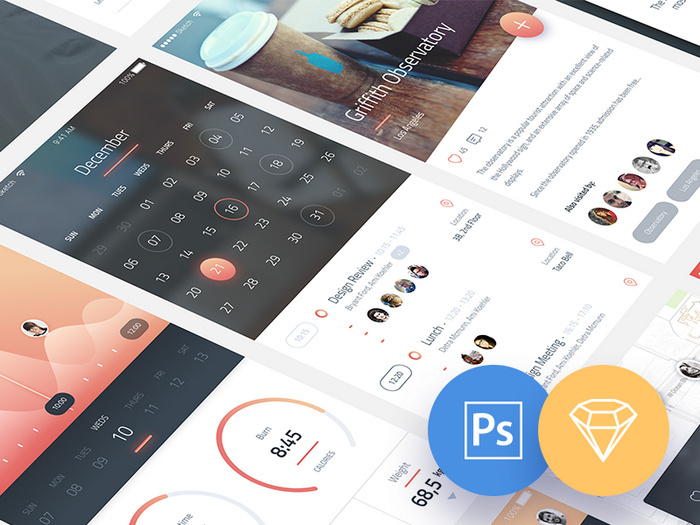 This epic flat design ui kit comes packed with layouts and GUI elements which you can use in your web and mobile applications. Profile pages, menus, timeline are so well crafted and they look sharp. Go ahead and make a perfect business app for any purpose you have. Another mobile ui kit PSD targeting application design on iOS app and also Android devices. Fade app crafted for iOS 9 might be the best choice for that specific design. Use it for both personal and commercial projects as it also comes with a stack of ui elements to build next level design. This is no doubt one of the best ios kit for free. Using this kit is much easy as all you need to do is download and open in Photoshop. 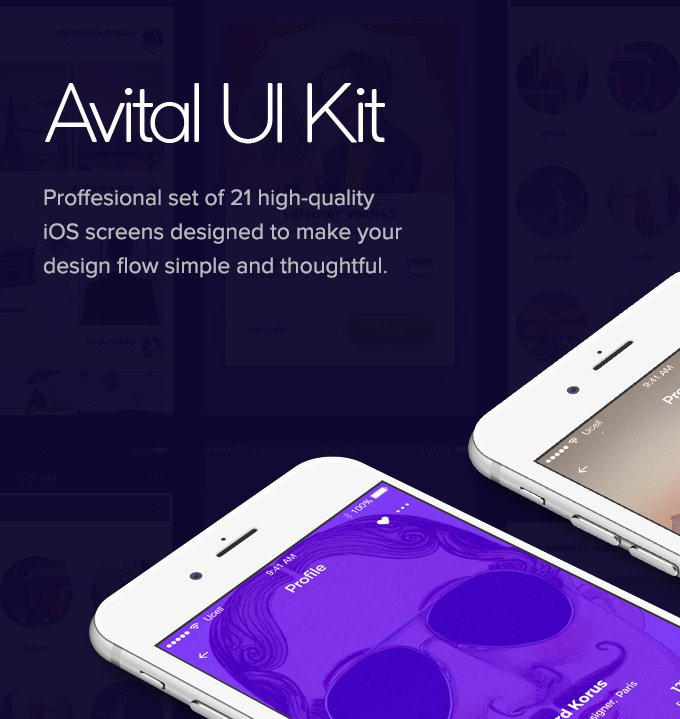 Avital is a mobile ui kit there to offer an exceptional looking design in your project. It contains around 100 elements, 21 screens and more which let you design prototype or app design. Each screen is customizable, ease to redesign and look balanced. Made for sketch and photoshop this template has organized layers. Avital uses Google fonts for which you are not required to spend anything extra money. 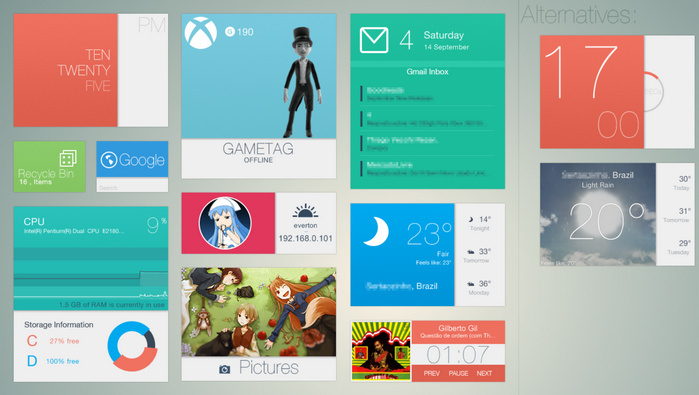 So, go ahead and try this template having a minimalist user interface. 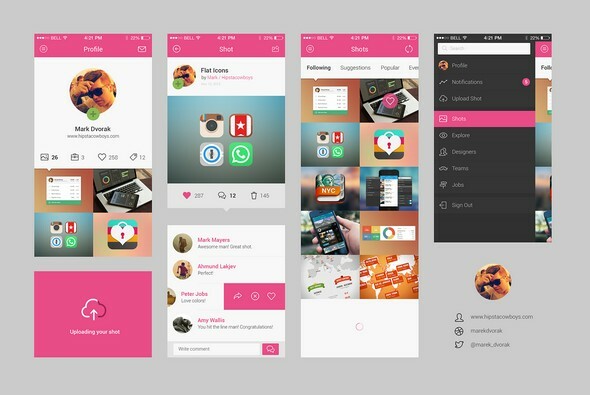 Another iOS 7 ui kit to meet the demand of mobile application designers who are looking to provide their design with an awesome look. This is a feature rich kit that is packed with all the needed features which are used in building an appealing and awesome ios app design. With ui components designed for latest version of ios app will make your prototyping process much more faster. 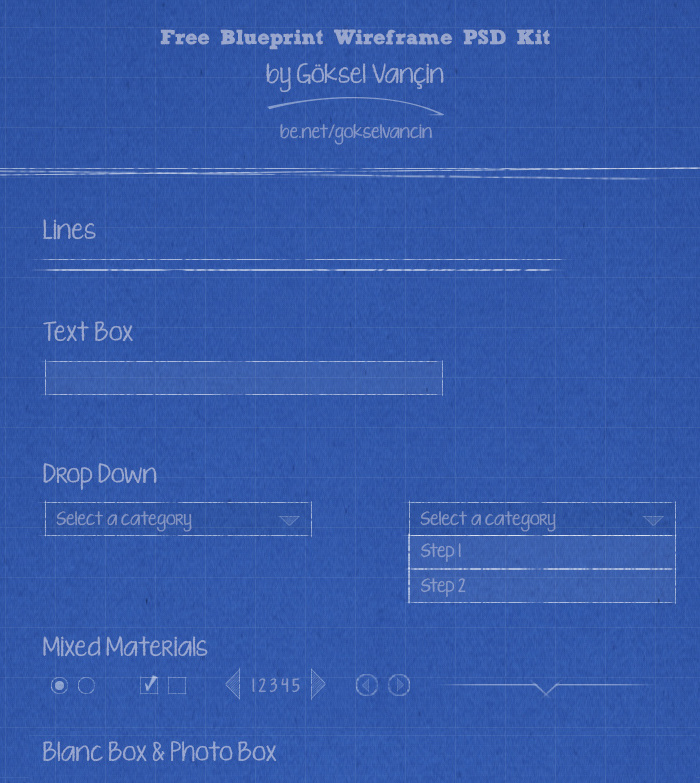 Create amazing wireframe of your favourite ios app with this free ui kit we have added. The pack is available only in sketch for now. We will update once it is in psd format. Another one of those ios ui kit for you with a dark layout design with a whopping 21 psd files for the mockup of app ui. 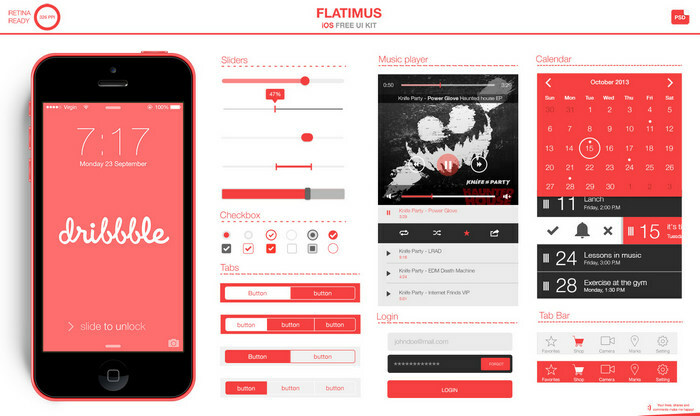 Flatimus is for mobile applications which are designed for iOS devices. 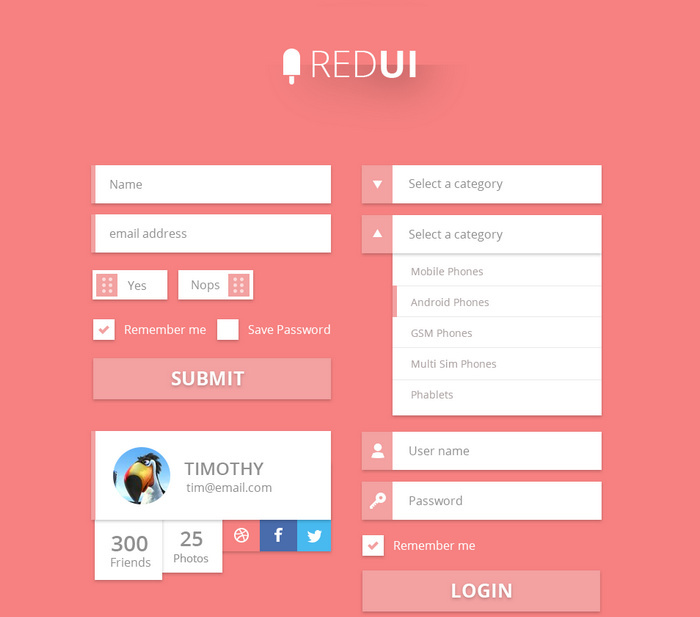 This app ui kit is ready for retina display, so the design will look amazing. 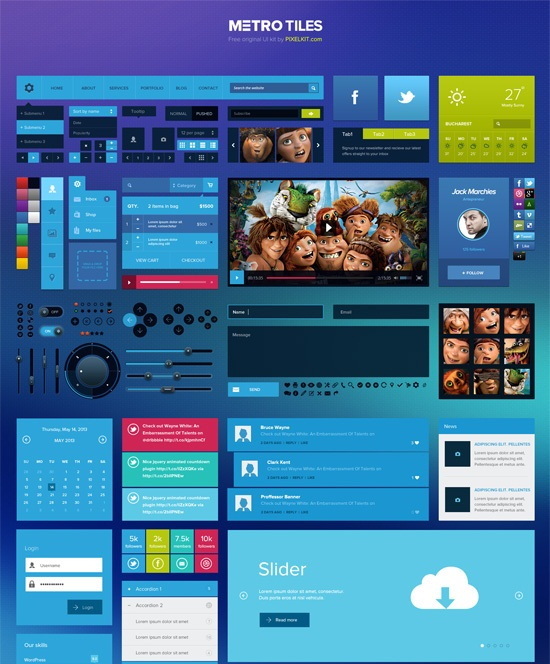 This photoshop user interface kit is completely free to download. So, get it in your project and provide it with the look it needs. If you are looking for a functional ui kit for iOS consider this one which is ideal for iOS applications. 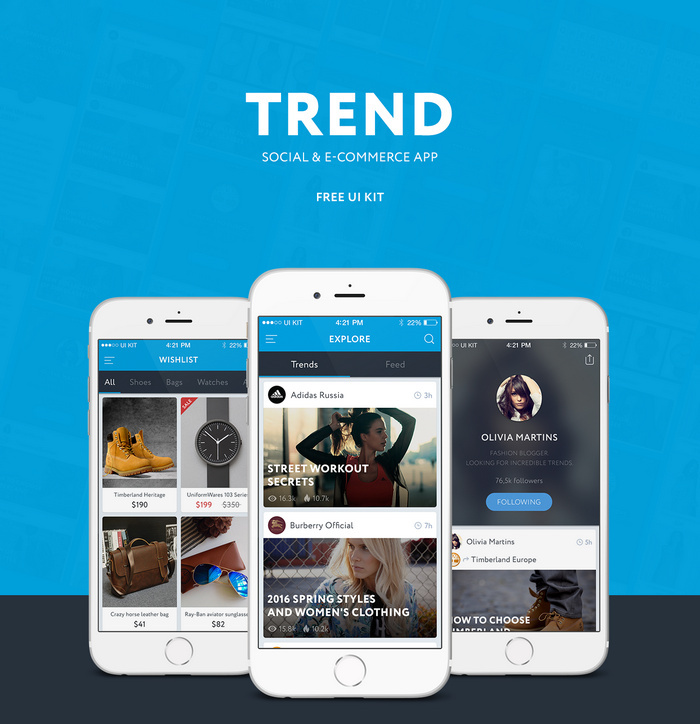 Verve serves many app designs, two of the most we can think of is – photo sharing and social interactions. It includes several useful free PSD templates to build the design as per your need. So, get this psd kit and attract more and more customers in less time. 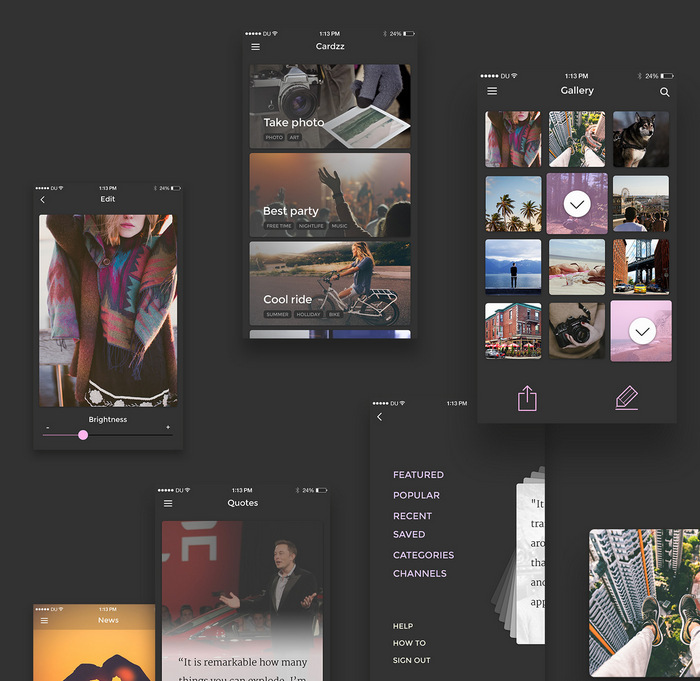 One more psd for ios applications to make your designing job easier and elegant. You get a free PSD which is an advantage along with all the essential elements. So, designing a new app is now not a big deal and you can do that in just a few steps. If you are in love with Dribble then this template can serve all your needs with its all vector shapes elements, layered PSD file. 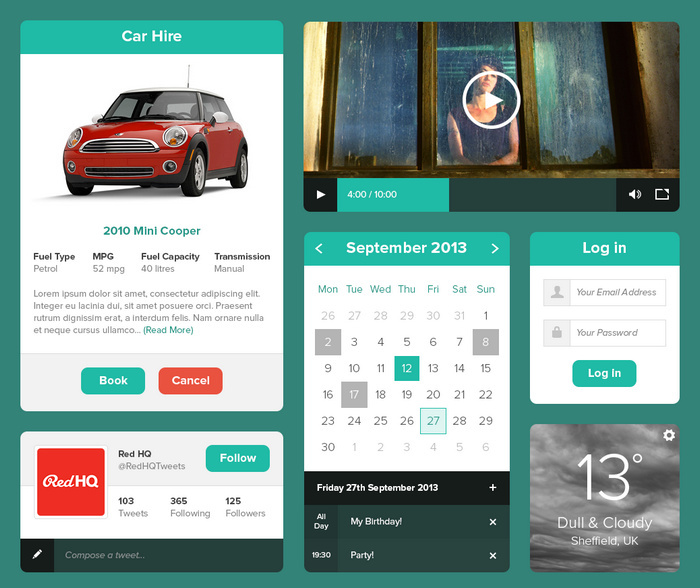 The interface design is bright with widgets for a functional app design. It can prove that designing an app interface is not a big deal anymore. 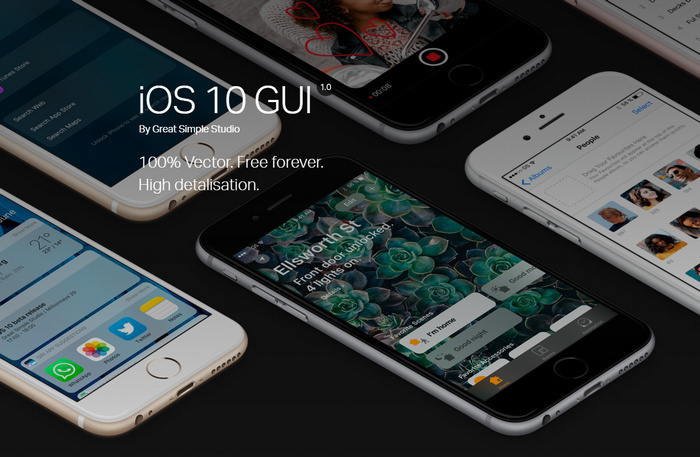 Do not forget to get this iOS ui kit that comes packed with beautiful screen mockups and that too vector shaped. Edit, alter these elements if your project requires so as its free to use. This well-organized PSD files can help you a lot to achieve your designing target in less time. All the ui elements included in this kit is vector based that enable you to work on retina displays. The kit is free for personal and commercial purposes without spending a single buck. 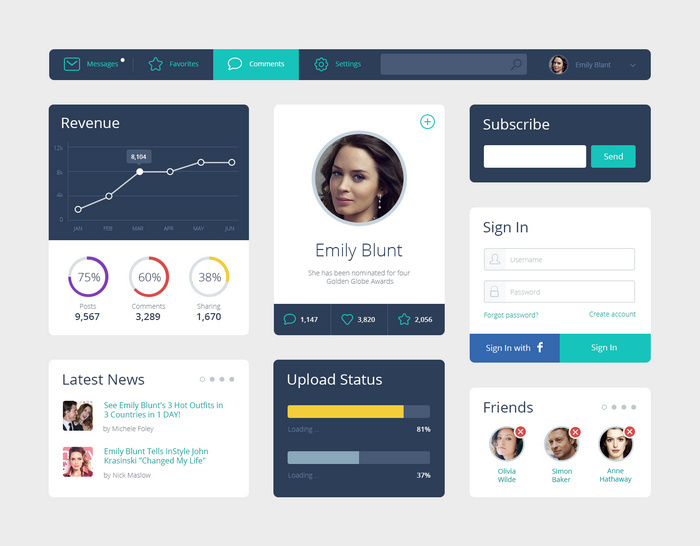 Get the desired app design with this one of a kind ui. 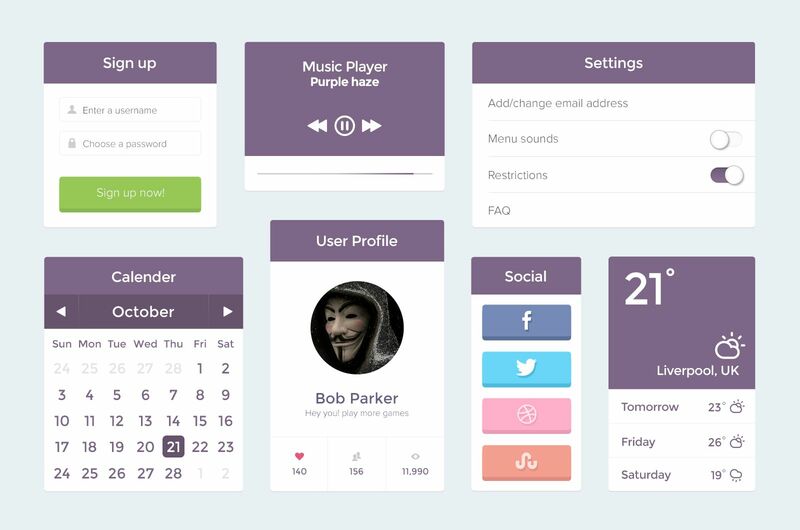 Designed for iOS 7 apps, this ui kit is yet another useful kit powered with a whole set of design elements, color palettes. Design a mobile app and prototype its design to your clients beforehand. If building apps on iPhone interests you then this is a handy kit you should make use of. The flat design of this app is like that of the Google Plus interface but with a solid blend in the color palettes. 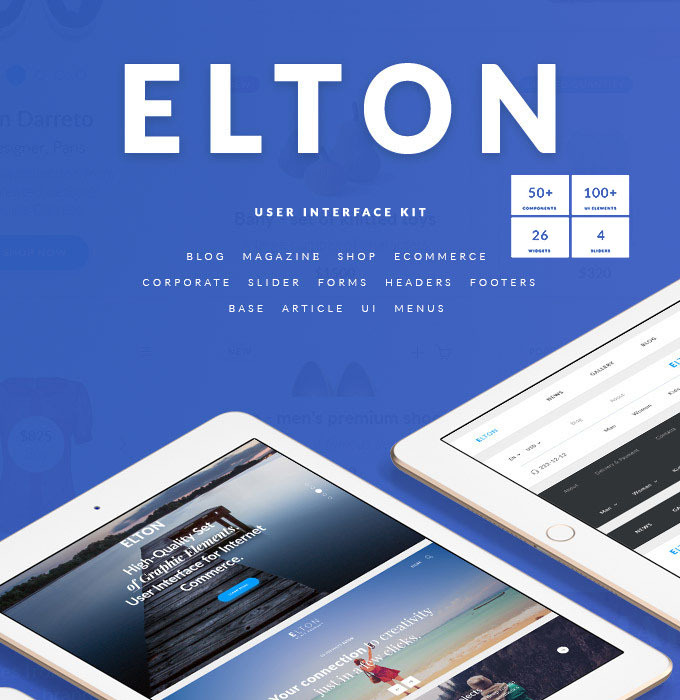 This ui kit is for the enthusiast designers who want to build a creative website or app layouts in just minutes. The interface is much simple that offer easy navigation. This psd kit has a whole range of buttons, menu, photo boxes, textures and more that have basic line styles. This wireframe PSD kit is available for free. Whatever you want to design, be it youtube UI or Facebook or even retro design of the late 90s this one will come in handy. 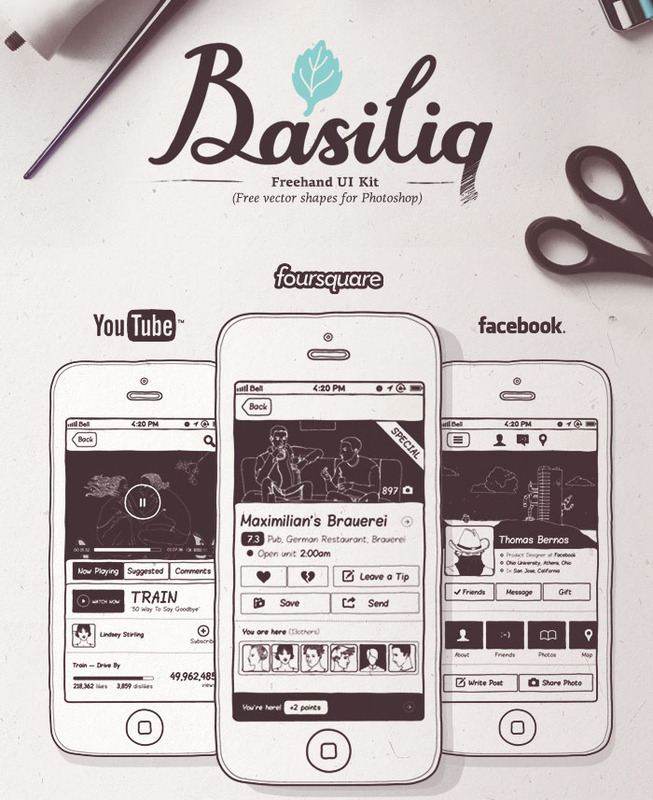 Basiliq ui kit is helpful for many hand drawn designs as it comes packed with more than 300 elements. The vector shapes for photoshop are always a welcome feature for designers who want that extra quality. This comes packed with all the ui elements specific for website design. The buttons, radio buttons, check boxes, search fields, calendar, navigation menus are flat in design. 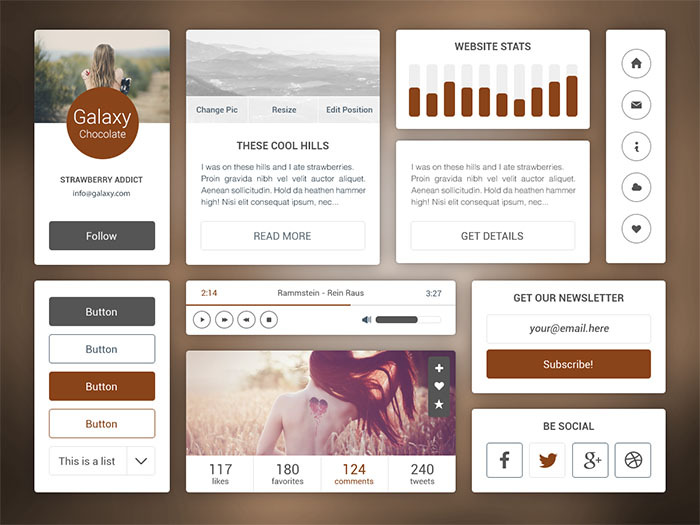 Use this to craft an amazing interface for your design that is pleasing to the eyes of all. 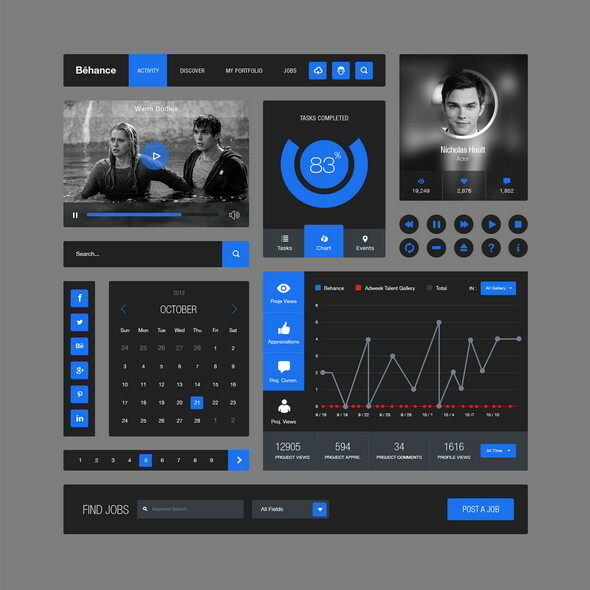 Wireframe your project in no time by the use of this user interface psd kit which aims at speeding up your projects. Based on flat ui style this psd contains drop down menu, progress bar, timelines, ui form elements and more. 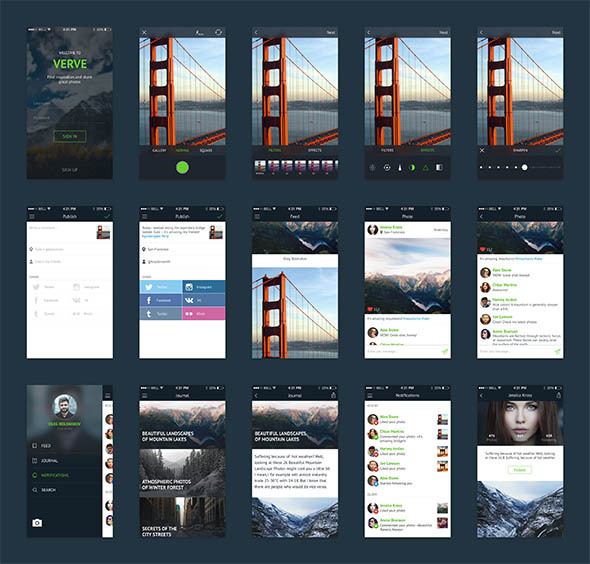 The simplicity of the elements is another thing that made this ui PSD kit popular. 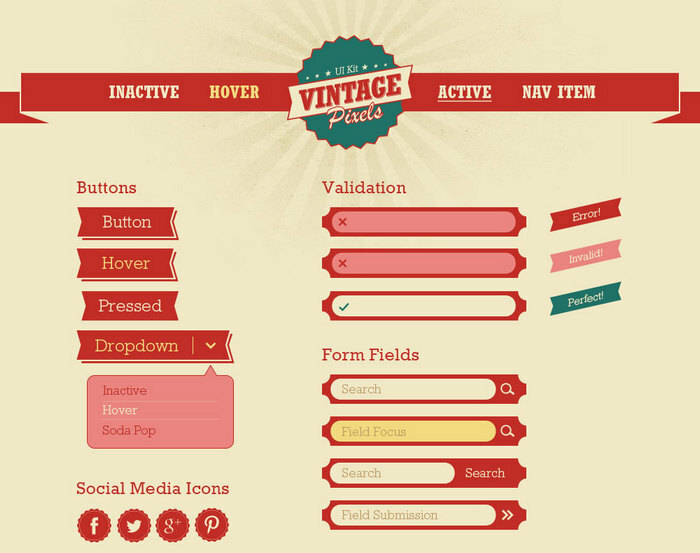 A clean looking design that let you create PSD with an excellent interface. The kit is simple in design and easy enough to use so the beginner too will not face an issue. 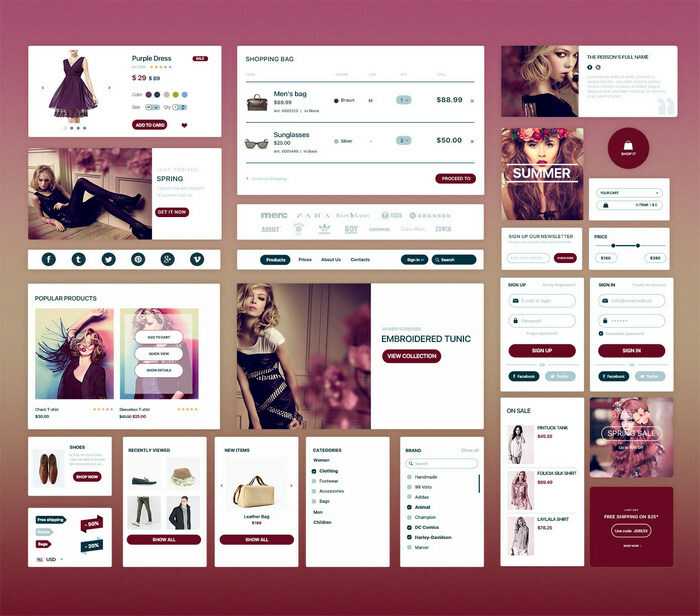 This E-commerce ui kit PSD is there to help you out in your shopping projects. The kit contains all the necessary designs needed for an eCommerce site. Designers like to do attractive designs and this kit is completely free which let you do some amazing work. This ui is much helpful for 2D mobile games where all the elements have vector shapes that let your resize or edit them as per your design need. Click on the below download link and you will be all set to use the kit in your project. Viro comes packed with player controls like sliders, knobs, switches and buttons that are useful to do a player psd. The kit is something you might need once in a while to design a specific part of a video or music player app. Whether you want to use this kit for personal or commercial purposes, the kit is completely free to download and use. 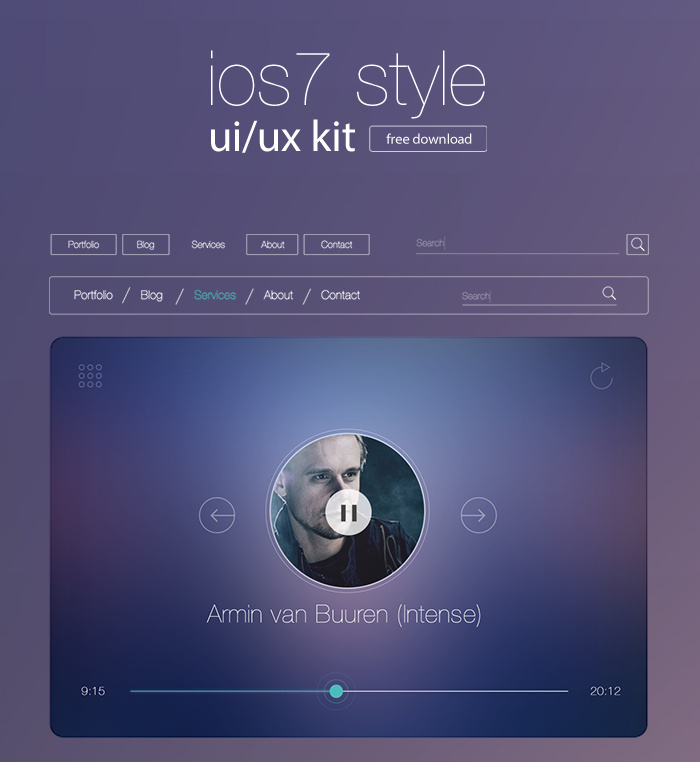 Designed for music interfaces this psd ui kit contains all most used items. So get this and speed up the designing job of your music interface. This is one most popular sketch based kit that can fulfil all your needs of designing in Mac. This kit is no doubt a good choice to kickstart your projects that might need the basic elements like buttons, sliders, navigation bars etc. Also, all these are customizable so that you can alter them as per your project needs. Built on top of Bootstrap grid this ui kit can deliver the perfect metro and vibrant look in your project in an efficient way. It includes layered PSD files, responsive HTML files, vector graphics and more to do your designing job the best possible way. Also, the Google fonts used are free, so what can be better than this? 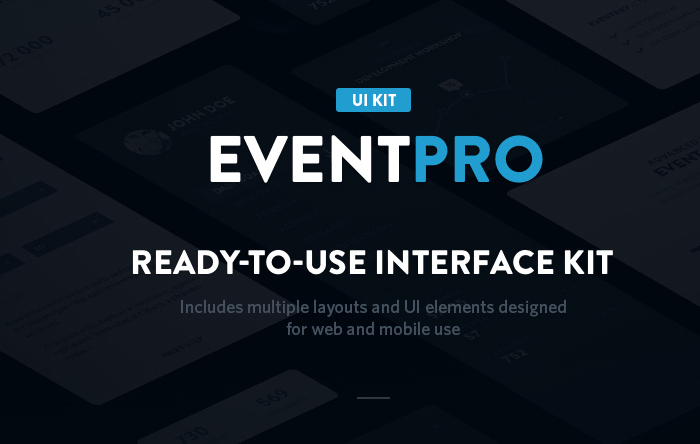 Another most useful ui kit for any project be it personal or professional. It includes components like buttons, sign in form, pagination, progress bar, toggles, sliders, selector bar and more. So, get this to achieve your new goals. Since it comes wrapped up in an organized PSD file the web elements are modifiable. This kit lets you use in personal and commercial projects without any attribution. 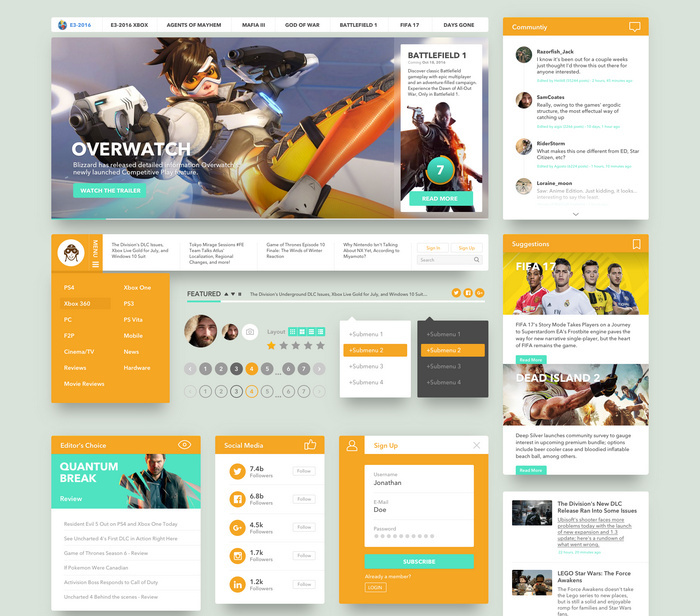 We can’t find a much better ui element to do a dashboard-style design for the website or even mobile apps. 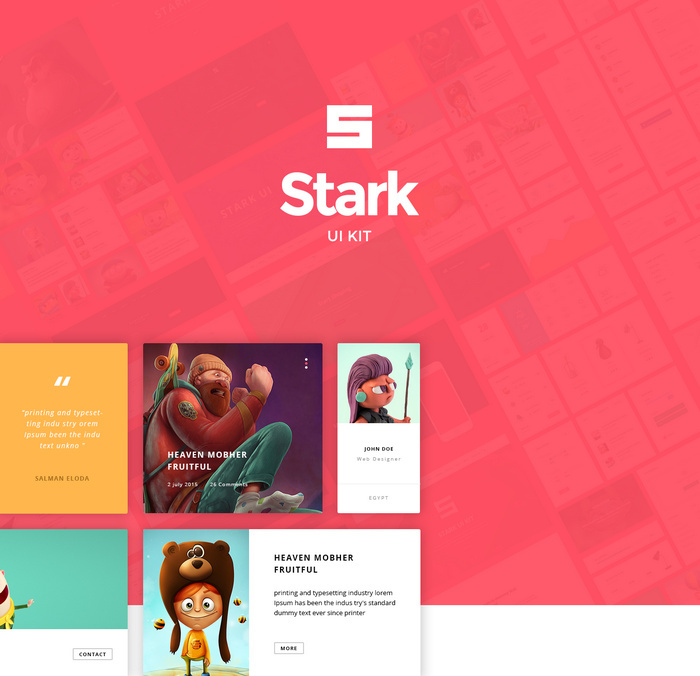 Avengers features a flat ui kit that is simplistic in design, looks stunning, provides your project design with a charming and appealing look. The sleek version let you attract more and more visitors. Hence this a powerful ui kit that comes packed with elements like weather, social icons, minimal PSD and all other needed ones. No doubt this user interface kit loved by many as it uses cartoon faces in the interface. The colourful cartoon characters and other features in the kit is a fun and you feel pleasant. Most of all this a kit which has a simple and clean looking interface providing easy navigation and works well to create artboards. This kit is of much help to design all your project that consists of various useful elements such as calendar, weather, graph, map, reminder etc. The kit is available for free, so just download the PSD file and start using it in your project to speed up the project. Download the PSD file and it can accelerate your project highly. This PSD template is one of the best to be used in your project design that will speed up the designing job along with making the whole job of your project much easier. Using the kit does not require high knowledge in designing, just download it and everything will be done successfully. This one is completely free and you can use it in your project be it personal or professional with ease. Useful elements such as buttons, search fields, date and timing and other important things included in the package. Utilizing it make you do more than you think in your designs. 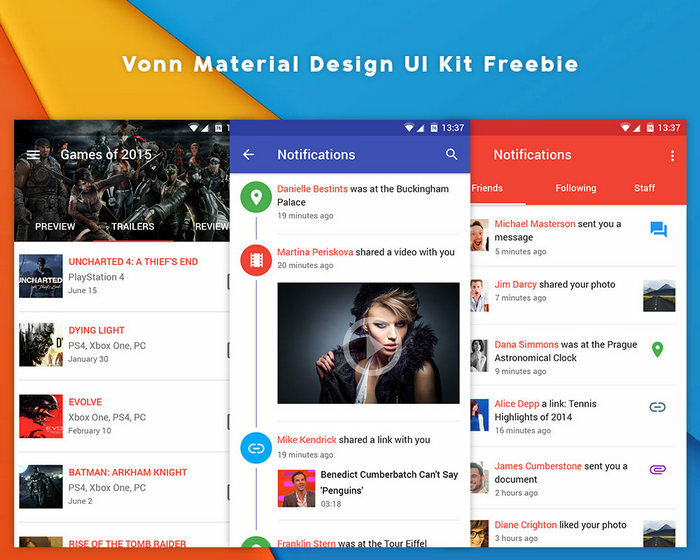 This android ui kit is specifically designed for an android version which will suit the nexus 4 screen. The psd is useful and you can use it for all kind of project purpose which will definitely speed up the whole project work by completing the redesign job in just minutes. So you do not have to spend extra time for designing. The name itself defines the kit, it is an awesome blog ui kit that the bloggers can use to make their design job hassle free. No complicity involved in the user interface, just tap on the download link and implement it in your project perfectly. 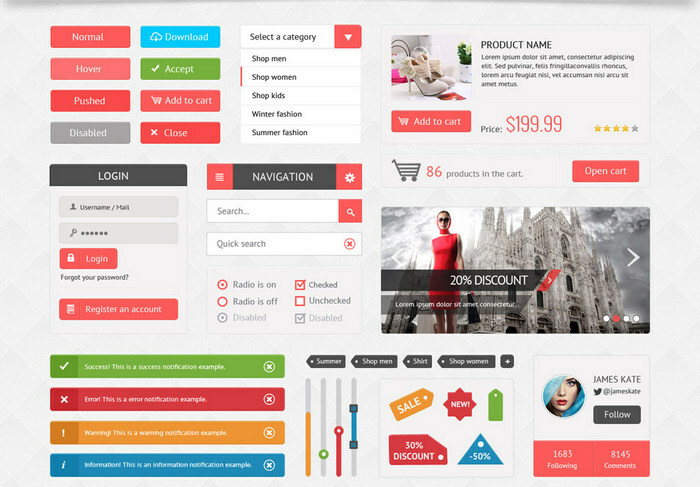 Based on style flat design this UI shopping kit is just perfect for any kind of shopping website. The design is unique and appealing to the eyes. All the needed elements for a shopping site are in this pack. So, just download it and get unique design style in your shopping website. 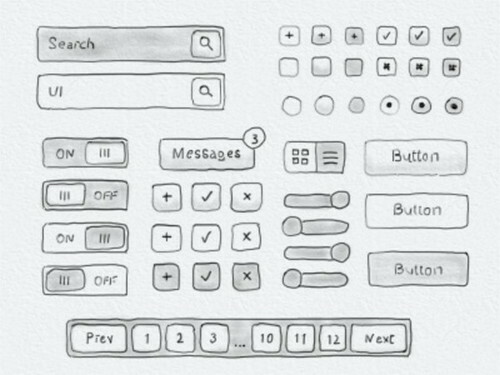 This is a hand drawn ui kit which looks exactly like someone has drawn the interface with a pencil. Also, use it as wireframe if you like it that way. All the elements starting from the search bar, buttons, radio buttons etc are in the package, so download the ui kit and start drawing your design. 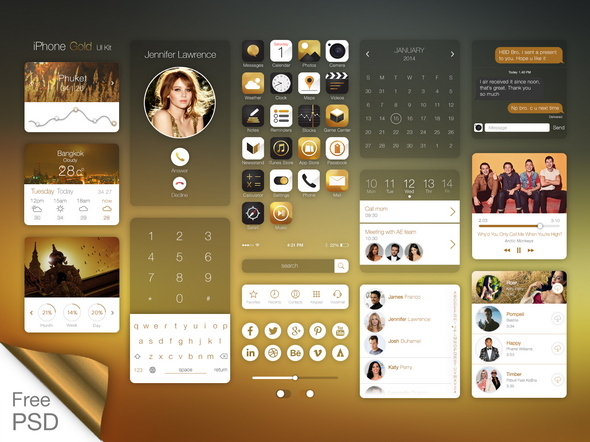 This ui kit psd is a widget rich user interface which comes packed with all kind of needed widgets to use on your desktop and mobile applications. Also, every element required building a perfect design is available in this kit. 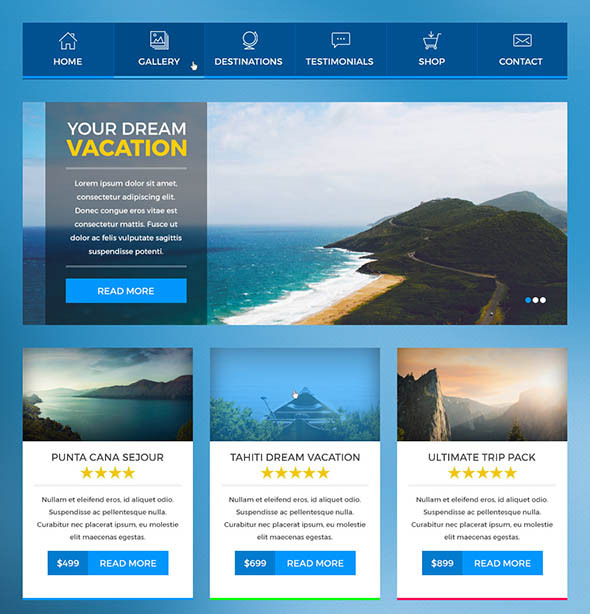 You can set up a great and functional travel website using this photoshop ui kit. The kit contains all the needed elements such as pricing blocks, book now section, sliders, blog sections etc. Around more than 20 elements got included in this ui kit PSD. The interface is much simple that provides easy navigation to the users. Are you interested in building design from scratch? If not, then this is the one for you. 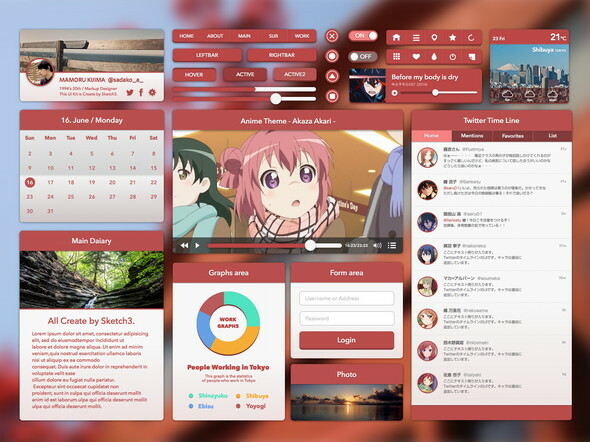 Anime is a useful free ui template made in psd and with a craftsmanship that has a red color background to make the things more appealing. Elements such as graphs area, form area, timeline, calendar etc. Are present to give an exact look to your project. App development and design have also picked up pace recently. Developers have no time to make designs by themselves and most of them don’t even know how to do awesome designs. This is one of the purposes of this topic to give developers an easy way to craft brilliant websites through rapid prototyping with ui kits. Our collection of ui kits are free and are jaw dropping awesome as these designers have put a lot of effort into making them. Superb! 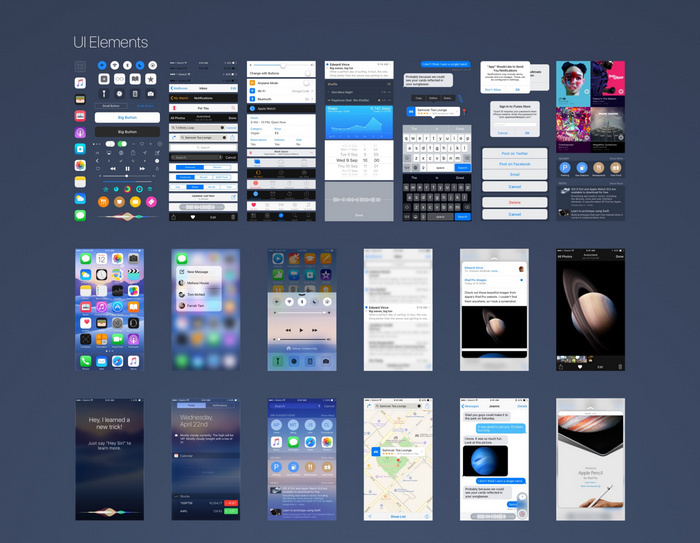 Great collection Rijo, No wonders this is a mega collection of UIs which are totally free. Well, I personally believe it’s quite hard though to find a nice collection of Mobile and Website UIs. 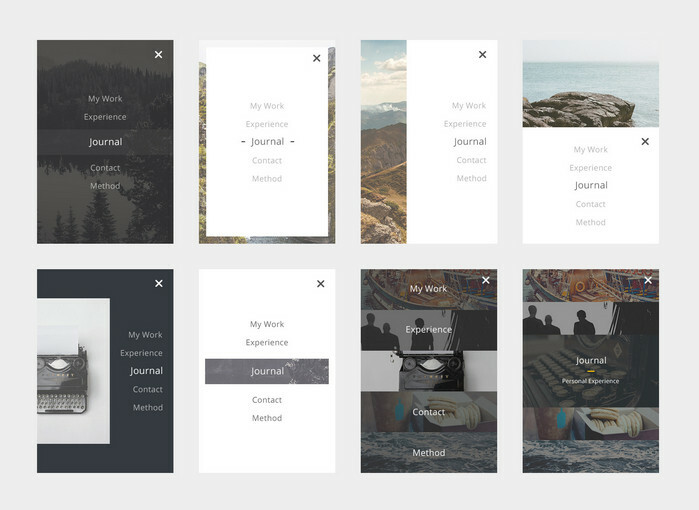 By the way Rijo which one is your personal favorite template in this article? 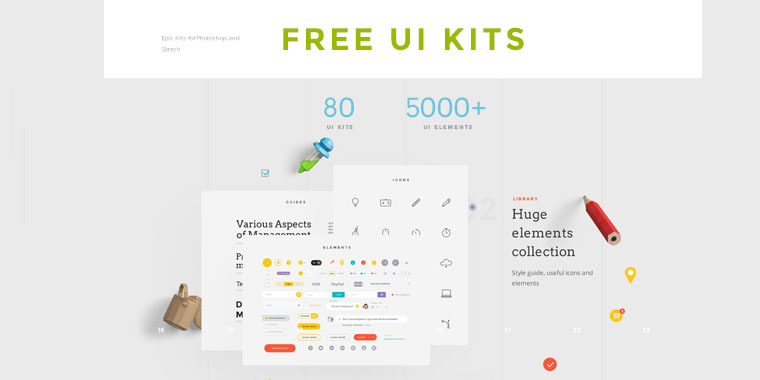 Nice collection of free UI kits . Great collection . Very usefull . I agree with Shane that it is hard to find that kind of collection for free .